open to bigotry or closed-mindedness. teacher Dr Blakelock, over the validity of the Bible. debated the veracity of their intellectual theories. most of all, doctrinally correct and provable. 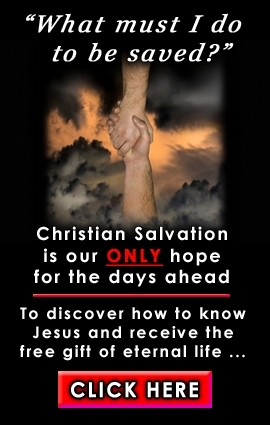 SALVATION IS NULL AND VOID? anything that is totally acceptable." were deceived and God himself allowed them to believe the lie. concerning their lives, business, and families on all levels. Pastors have any sense of where their own congregations are at. states, when it is absolutely defined. That is non-negotiable. regulated then by a different ecological atmospheric system. in existence when God created Earth. night, after the fourth day).